The company’s VP of Product Marketing sat down with Arianna Huffington on the Thrive Global Podcast, where he explained the actual intent behind Apple’s buzzy iOS update. Parents are concerned about the time their kids are spending online –– as they should be. Studies have revealed links between screen time and cognitive function, and in turn, tech companies are making it easier for users to set boundaries with their devices. That’s why, when Apple announced its new Screen Time feature, parents around the world took note, excited about the new capability to set limits on their children’s tech use. But according to Greg Jozwiak, the VP of Apple’s Product Marketing, the new features weren’t actually created for parents alone. 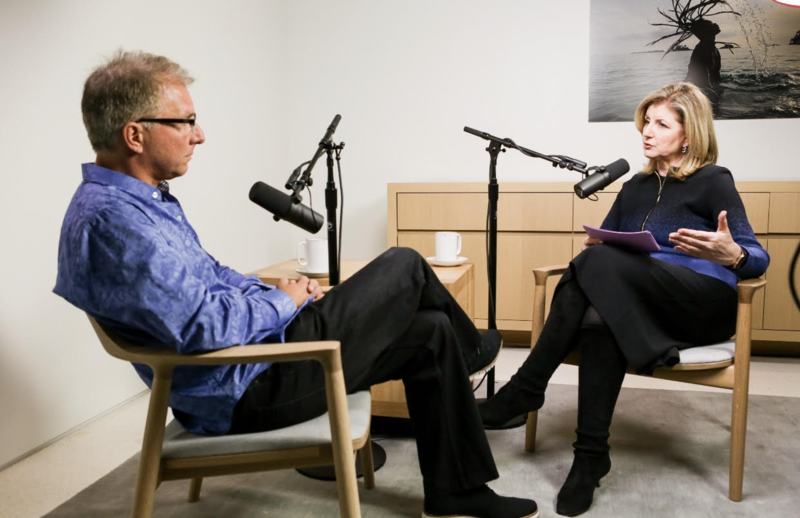 When Jozwiak joined Arianna Huffington on the Thrive Global Podcast, in partnership with iHeartRadio and Sleep Number, he opened up about the initial idea behind the buzzy iOS update.